Angel Mist Bamboo makes a great ornamental bamboo collector piece. 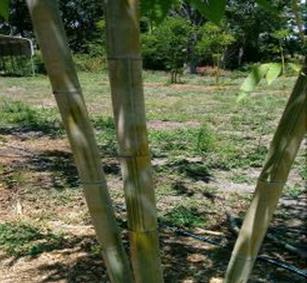 This appealing bamboo reaches heights of 35 ft with 3 in powdery white coated canes that will give you an eye pleasing glimpse of green stripes. When looking at the canes they appear to have a ghostly powder mist ..